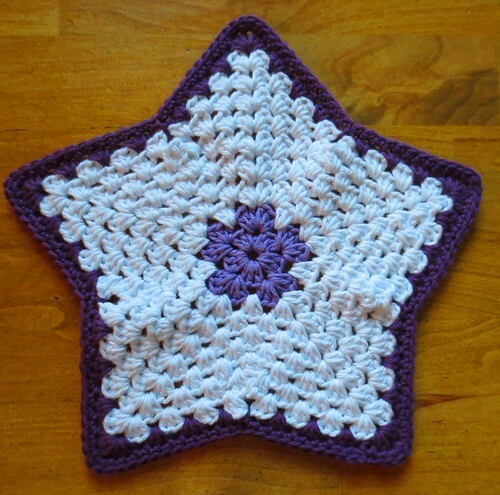 This pattern is called My Star Dishcloth and dates back to 2008. The pattern is free and does require light blocking and pulling on the points once done to get a flat lay to the cloth. 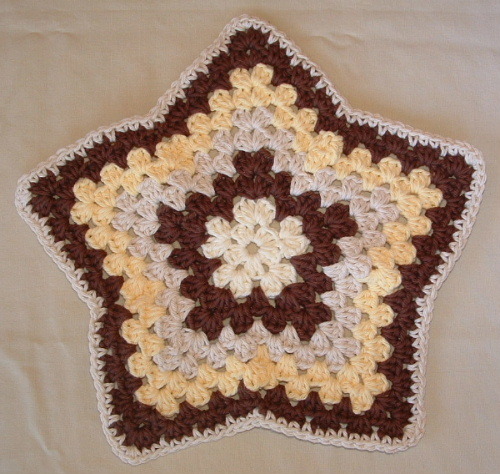 But of course after washing, it does lay rather flat compared to just after crocheting the pattern. The pattern makes a fun and unique dishcloth. 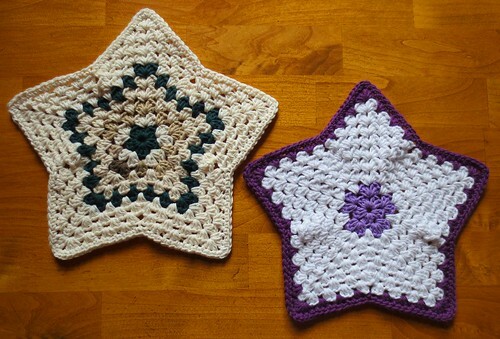 And as shown is a great project for using up those bits of cotton scraps you may have in your stash. Awesome, thank you for sharing this.. Can I link this back from my blog? Thank you and links to my posts are always welcome and appreciated. Nice! Thanks for your sharing, and they are very beautiful.